We’re always happy to receive visitors in church and certainly on-line as well. If you are looking for a church family, we hope you will spend some time at our site. We have a great joy in this church and we are always excited to share it with others! The Christmas festivities are quickly approaching and we want to be sure you’re included in all we do. 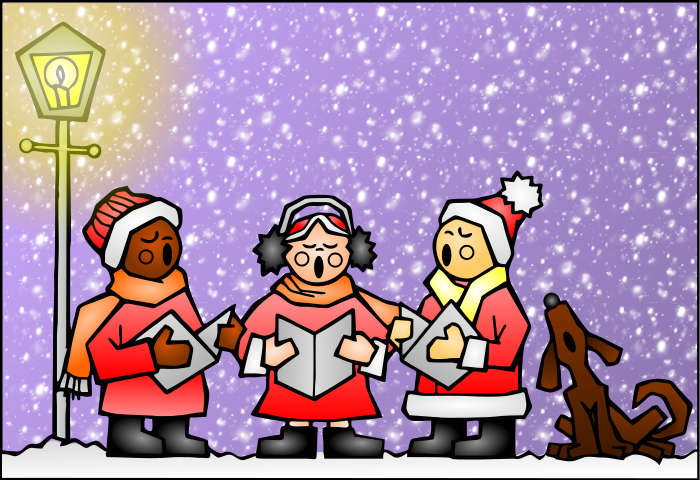 On Saturday, Dec. 23rd, from 1-3 pm we will gather together to go carolling. Anyone is welcome to join in as we tell the Christmas story in song. We’ll gather at the church parking lot, visit with residents or shut-ins in the local area, and finish our event, hopefully, with a shared meal of chili back at the church. If you’d like to join us, meet shortly before 1pm at the church to car pool.